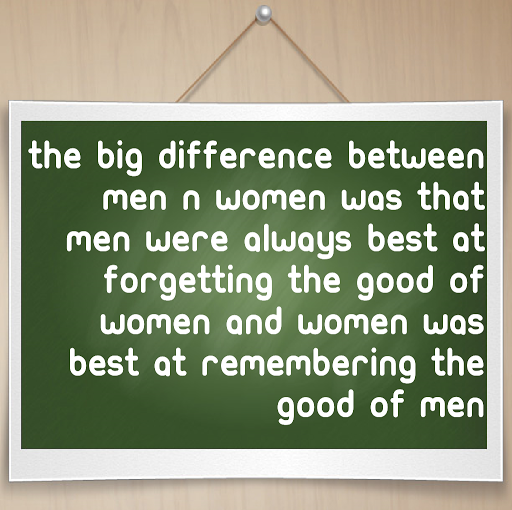 The biggest difference between men and women was that men were always best at forgetting the good of women and women was best at remembering the good of men. So when a woman interacted with a man, it couldn’t always be good. If she was too good to him, he would take it for granted and forget the effort that the woman put in. To let a man remember you all the time, the first thing todo is to put yourself first all the time. If you forgot yourself, how could somebody else remember you?